Dubai city is filled with a lot of attractions and memorable places. Therefore, tourists always look to accept deals from tourism companies, which are giving excursion plans on sea, land and air. 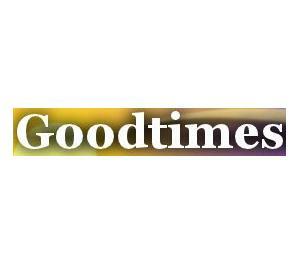 Good Times Tourism is a company that provide services to clients as per their needs. Whether you want to do something in the sea, looking for attractions on land or want to take a bird’s eye view of Dubai. All these deals are available with Good Times Tourism who promise to provide first-rate service without digging too deep into the pockets. This is a standard tour operating company that offers excursions on sea, land and air. Therefore, its patrons get a wide array to pick one package for them. Some of the hot picks of Good Times Tourism include safaris, fishing on a yacht, tour of Dubai city and lot more. Since there is a healthy competition in the tourism industry of Dubai therefore, Good Times Tourism offer deals at reasonable prices, so it could attract more and more tourists. They also reserve hotels on behalf of their clients, apart from transferring them from one location to another in their luxury vehicles. Good Times Tourism’s office opens daily and its usual operational hours are from 9:00 am to 6:00 pm. Suite 109, Mhd. Bin Dhahi Building, Damascus Road, P.O Box 122040, Dubai - United Arab Emirates. Dubai Airport Free Zone Metro Station 2 is at a distance of 850 m from Good Times Tourism office and it take 11 minutes by walk to cover this distance. Head southeast for 160 m and then take a slight right towards Al Nahda Rd/D93. After walking for 33 m make a slight left and you will be on Al NahdaRd/D93 and after walking 180 m turn left onto Damacus Street. After 500 m you will find your destination at your right hand side. Bus numbers 13B, 17, C19, C26, F08 and X28 will lead the patrons of Good Times Tourism to Falah Primary School bus stop that is just 1 minute walk from this company’s office, as it is located 100 meters away. All you need to do after leaving the bus is to walk on Damacus Street in northeast direction. Checkout map for directions.